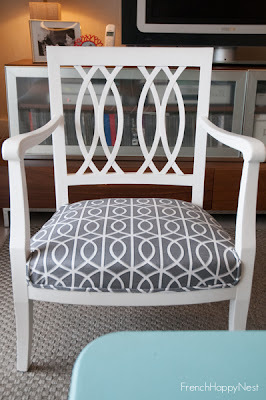 The Collected Interior: Trash to Treasure...chair revamp! Hi Friends! 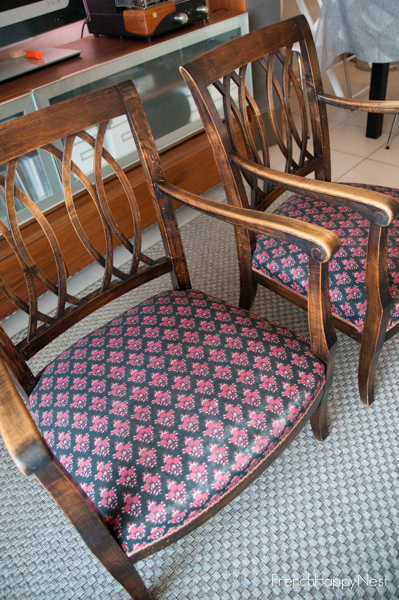 It's Trash to Treasure Tuesday here at Finding Fabulous - Wahoo! 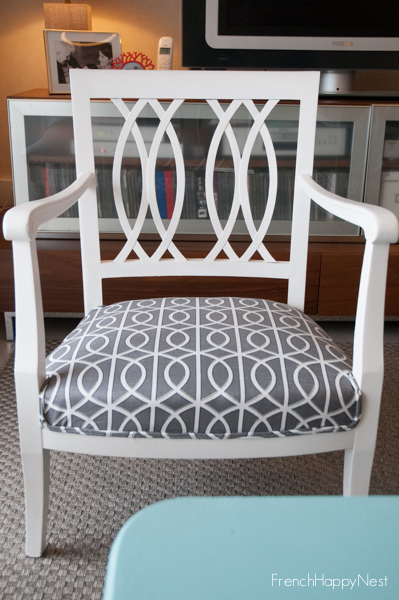 Are you ready to get Inspired by an Amazing Diy transformation? Here we go! 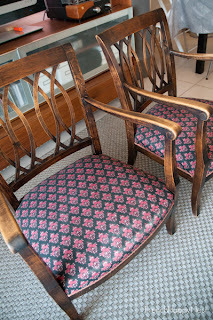 Check out these old chairs From the Diy blog French Happy Nest! Wow, light and bright! And how about that Dwell Studio Fabric? 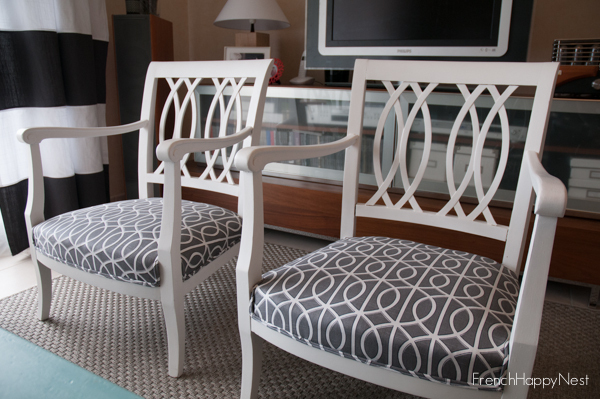 Updated & fabulous ;) Give Marianne a shout over at French Happy Nest, and get the scoop on how she simply transformed these chairs. I love the shape of them. They turned out great! These are gorgeous! That fabric pattern is so popular now! Love them! Super cute! It will go well with my wingbacks here at home! Love how they turned out! Super duper cute!